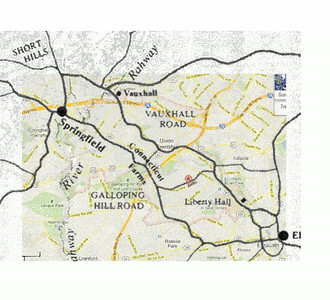 This map shows an approximation of the routes of Galloping Hill Road and Vauxhall Road. 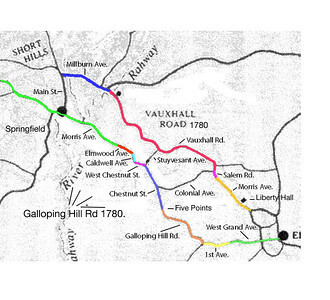 Galloping Hill Road and Vauxhall Road were the two main roads that the British and Hessian troops advanced and retreated on during the battles of Connecticut Farms and Springfield in 1780. 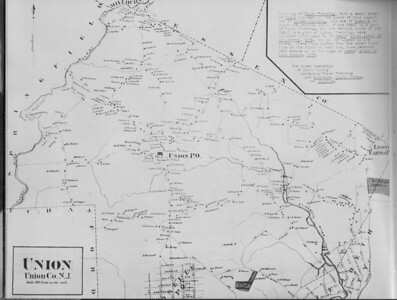 In the past few years, several groups including scout troops have used this map to hike the route. 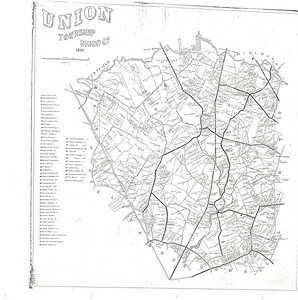 Different overlay with the 1780 routes on the modern map. 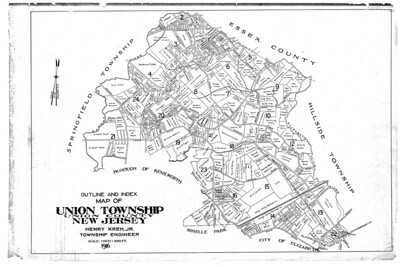 1916 Tax Map indicating the property boundaries and the owners. 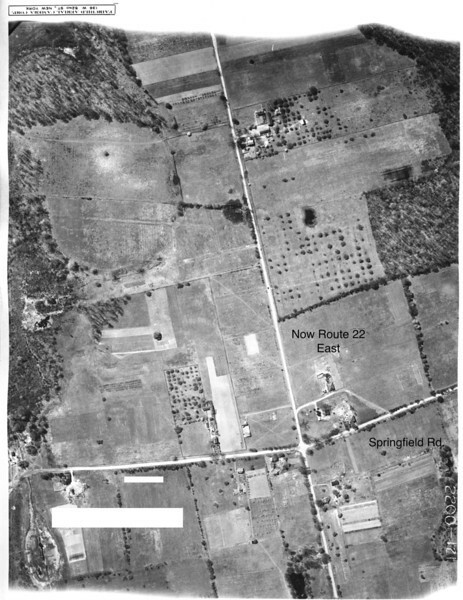 Several streets in existence today bear the land owners' names. 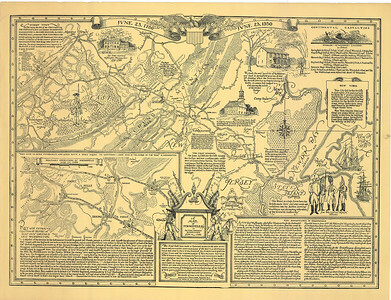 This map can be downloaded and enlarged in order to study the details. 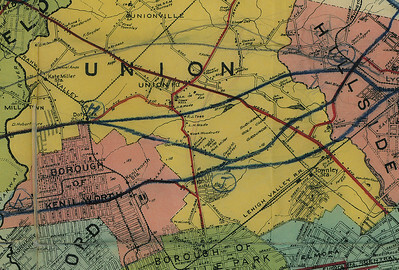 1923 map indicating proposed routes of Route 22. 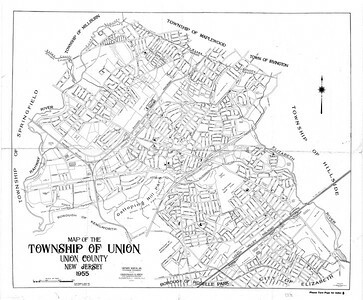 1934 map of Union indicating vehicular accidents and the need for a highway such as Route 22. 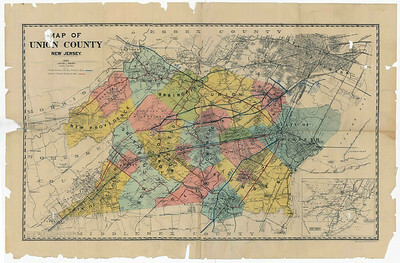 1872 map with house locations and property owners. Click on "view size" and select original to enlarge or select folder icon to download. 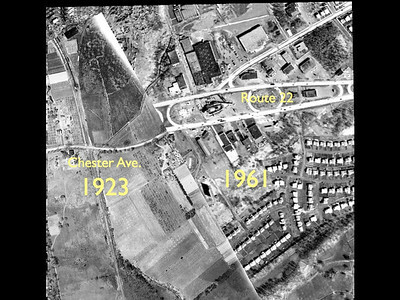 Very rare 1923 aerial photo of what is now Route 22 East. 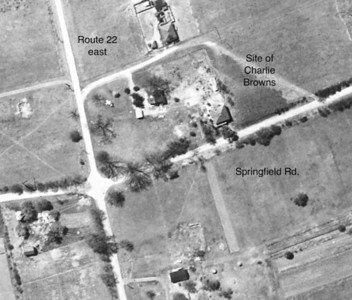 The small farm house is the building that recently housed Charlie Brown's Steakhouse. 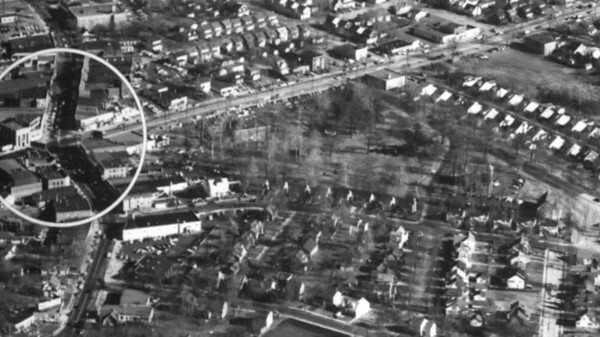 The building was torn down to make way for a much needed retail store. This building was the last structure in this area that existed back in that period. Click the "Map It" button to see the current view. 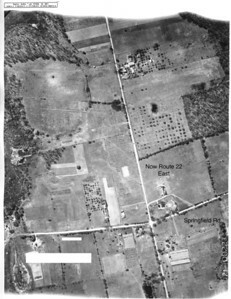 1923 Aerial of Union showing what is now the east bound Lane of Route 22 and Springfield Rd. 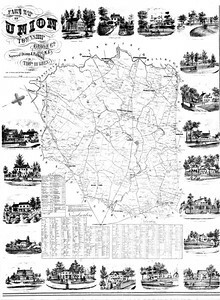 On the bottom left of the image is the Blackbrook Park Pond in Kenilworth and the Shallcross House, one of the oldest houses still standing in Kenilworth. 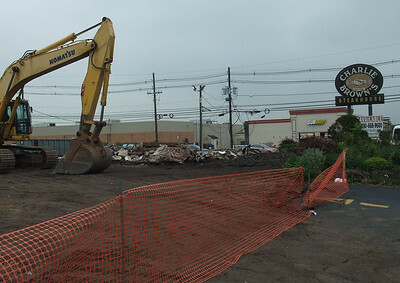 In May of 2012 the building that served as a farmhouse, Oscar's Bar and later Charlie Brown's Steakhouse was demolished for development of a retail store. 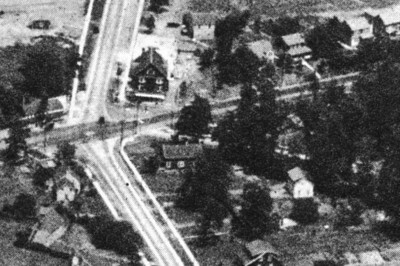 This building was the last standing landmark from our 1923 aerial photo of the area. 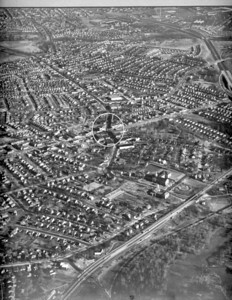 Very nice 1923 Aerial of Union Center and surrounding area looking North. 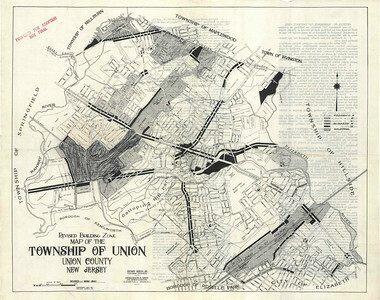 The main road oriented vertically is Stuyvesant Ave. which at that time was more of a major route than Morris Ave. 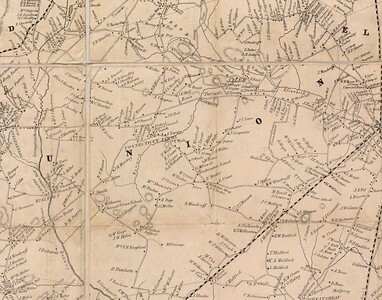 This high res image is downloadable for viewing in closer detail. 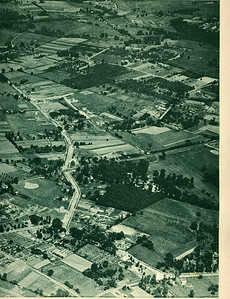 1955 Aerial of Union Center and surrounding area looking North. 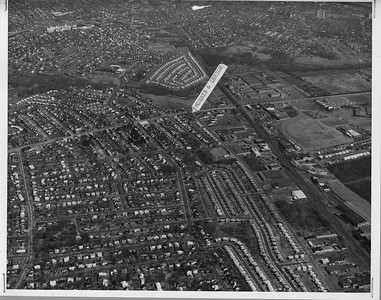 The main road oriented vertically is Stuyvesant Ave. 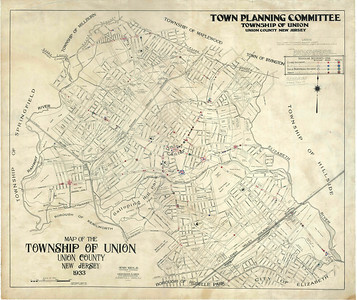 The new Union library(1953) is visible but the Municipal building was just in the planning stages. This high res image is downloadable.